Perfect for night-time, a gorgeous lift-the-flap book celebration of favourite Australian animals. One for the koala - quick, He's nearly fast asleep! 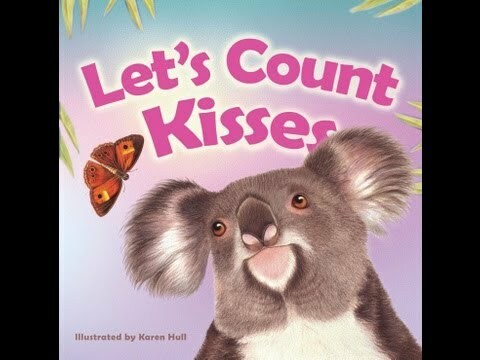 The animals are being kissed by butterflies, who increase in number, one by one, spread by spread, so the book has a cumulative counting element from 1-10. The butterflies are hiding under the flap so parents can play counting games with children. Wonderful book for children, I will give it to my grandchildren.Arrived beautifully wrapped and presented,mail service was very fast.Will certainly buy again from this company.